Those of you with an eagle eye will have realised that next year’s Silent Eye, Spring Workshop has a mythological theme. 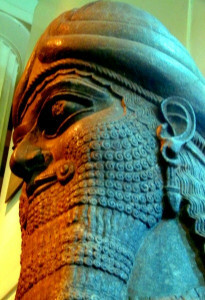 It is based upon The Epic of Gilgamesh which is a story worked up into its present form over four thousand years ago. Prior to its re-incarnation as an epic poem it existed as five independant mythological episodes, which, as we traditionally split our April Workshops into five ritual dramas tends to suit our purposes rather well. But why do we insist on revisiting the past in this way?